Whulp, I’ve been busy again. After a nice vacation in California with my parents to visit my grandfather and sister, I came home to a request for betamod a release. I said, “Why not?” I used all my spare time for a week to compose a hundfull of originals, touching up a few OHB tracks; presenting to you all . 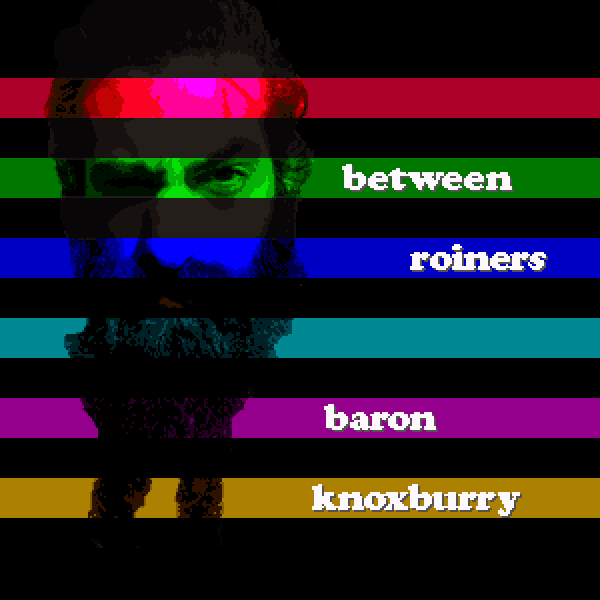 . .
“Between Roiners” was made possibly by a short stack of circumstances. The biggest being the recent notion : “b-knox must be prolific.” If I want to be playing more gigs then I need more people to hear the music. I’m a smart beard. I can do this. Pacing. It will require pacing; bouncing away from web development more often. I’d like to be a musical asset rather than another hungry mouth.